It is a new student at Monster High. It turned out after visiting the workshop of a scientist. As a result of some magic spells girls Laguna Blue and Dzhinafaer Long turned a new girl like them! It Lagunafaer! See how it looks cool. I think it will be a great girlfriend all the girls from Monster High. How to play: is a cool and fun Dress the girl Lagurafaer. You can choose her hair, dress, jewelry, shoes. How do you like the new image and a girl? Better than its creators? Played: 34146. Added: 9-11-2015, 23:16. 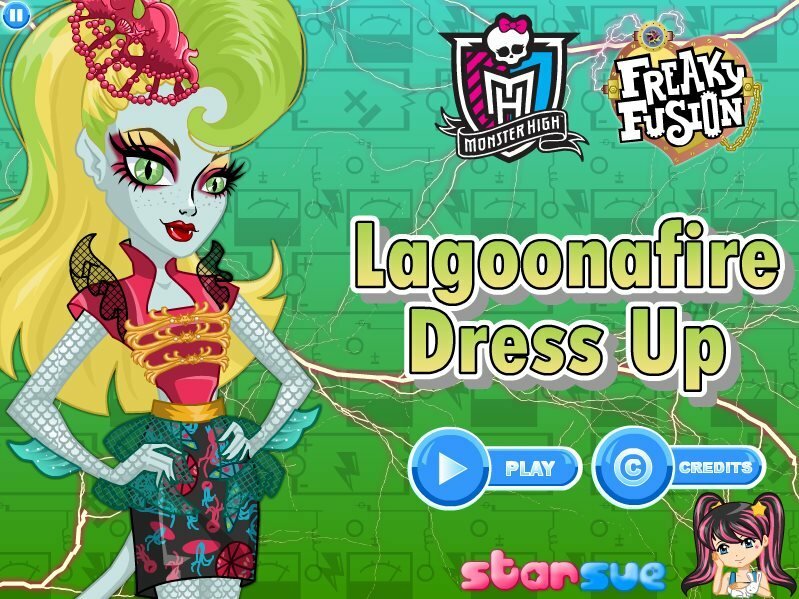 Choose a best dress for Lagoonafire from Monster High.